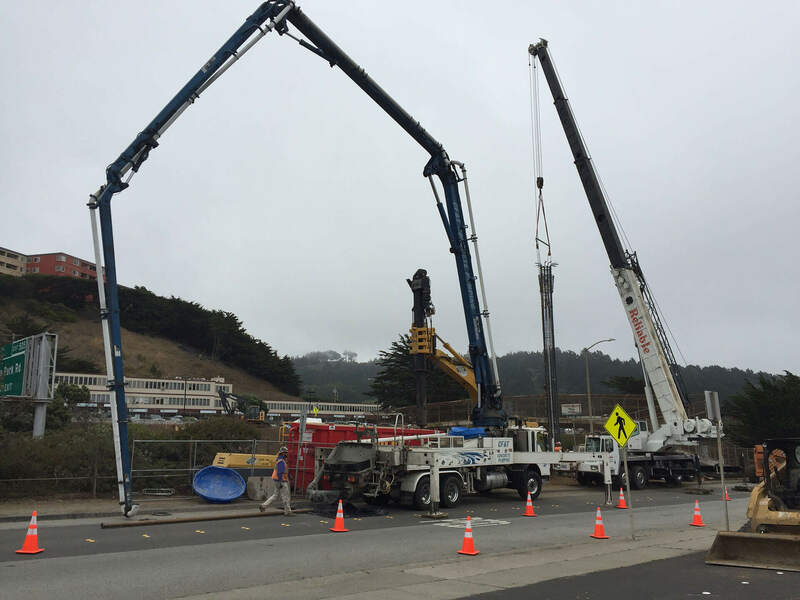 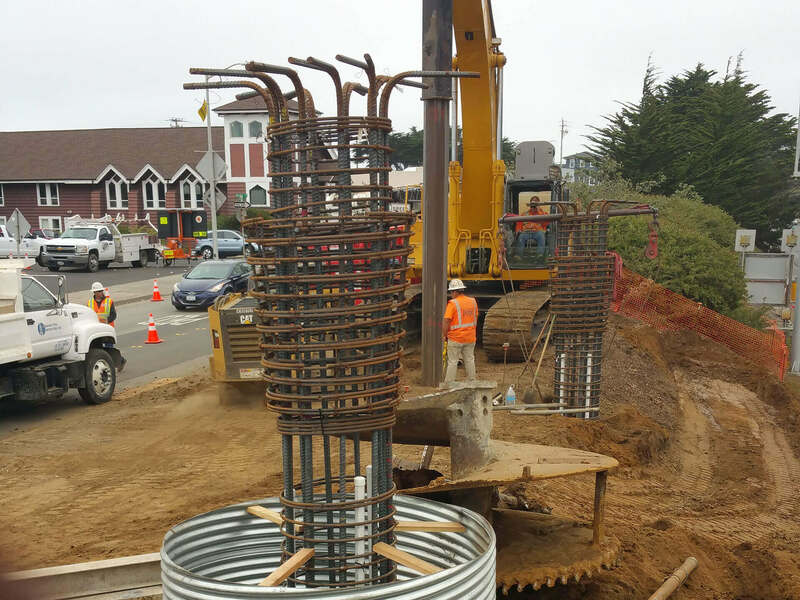 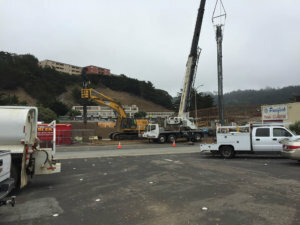 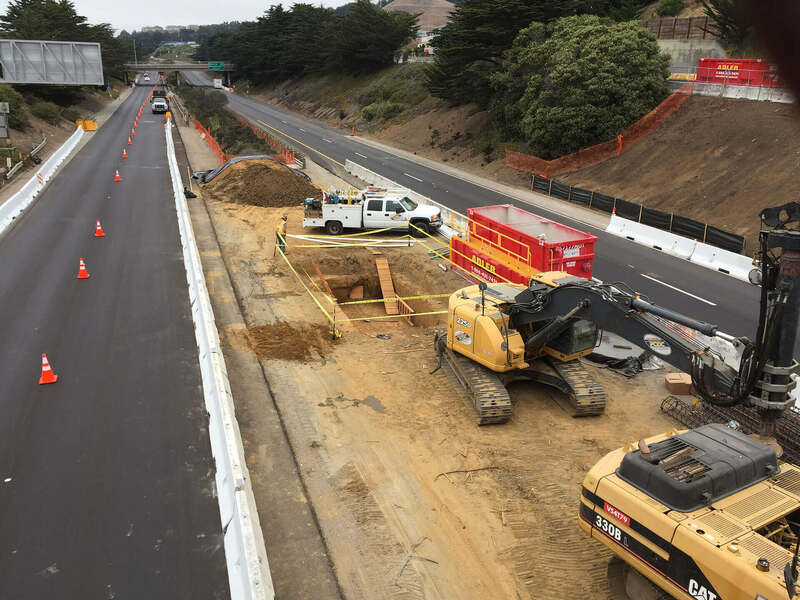 This project, in Pacifica, CA, consists of replacing a pedestrian bridge over Hwy 1 at San Jose Avenue. 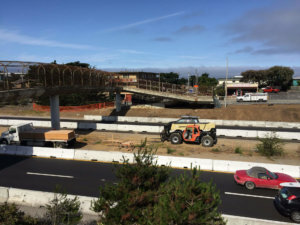 The existing bridge was originally constructed in 1968 and had an earthquake retrofit in 1994. 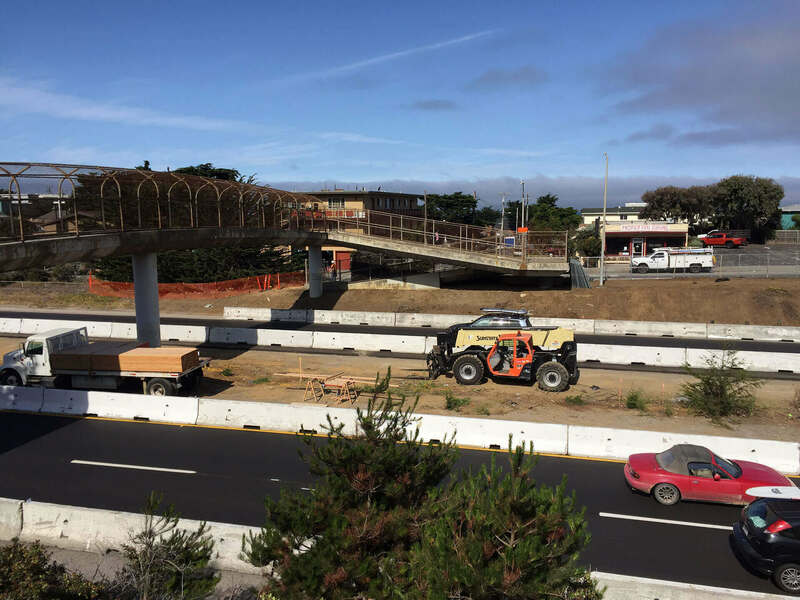 The bridge has 5 spans and is comprised of cast-in-drilled-hole piling, isolation casing, bridge footings, columns, cast-in-place concrete box structure, concrete bridge slab, intricate concrete surface texture and paint, and specialized fence. Additional improvements are comprised of landscaping, pedestrian lighting, drainage, signage, ADA ramps with minor concrete, paving and striping. 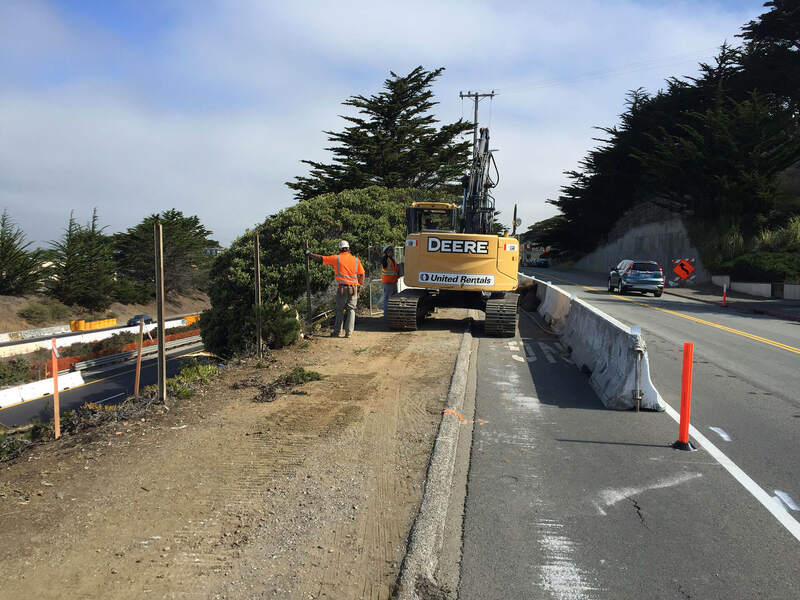 The new bridge will comply with current vertical clearance requirements and the Americans with Disabilities Act.